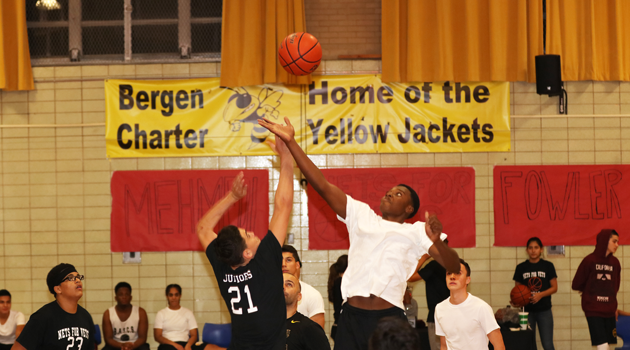 The Junior class at Bergen Arts and Science Charter School held their first annual “Nets for Vets” fundraiser. The fundraiser was held to support the Junior Class, honor our veteran staff, and a portion of the proceeds were donated to a local veterans charity. During the game students faced off in a series of basketball games against each other, the staff, and alumni of the school. The Junior Class organized their very first basketball game fundraiser called Nets for Vets in honor of Veteran’s Day on November 18th, 2016. 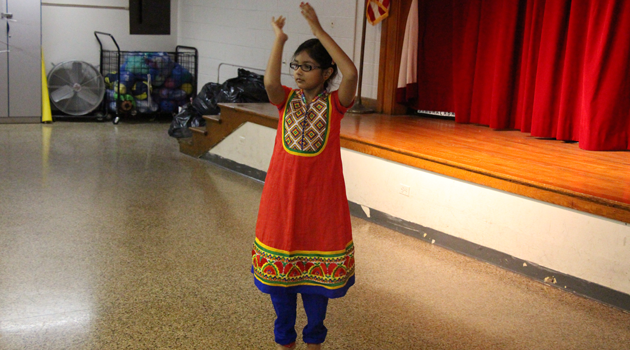 This fundraising event was taken place in the Bergen Arts and Science Charter High School gymnasium and was an event that was great for a fun Friday night out. The night began with the national anthem and a short appreciation speech for our very own veterans at the BASCS High school: Athletic Director Mr. Mehmedi, and Security Guard Mr. Fowler. Both veterans were given flowers and a small gift to thank them for their service for our country. In addition to an exhilarating basketball game, food and refreshments were also being sold throughout the whole night to anybody that wanted to snack on something while watching the game. This basketball game consisted of 4 teams: Staff members, Junior class students, Senior class students, and students from the graduating class of 2014 and 2015. All 4 teams competed head to head and fought really hard to receive the winning title. Towards the conclusion of the game, the Seniors took the crown and had beat the BASCHS staff to 25-24! All in all, this was a very successful fundraising event and us, the junior class, are extremely grateful for all the help and effort that was made for this event and having it be such a great turnout! Thank you to everyone that participated, and donated their time to share this event that we are all so proud of.